Great News for our Hospitality students! 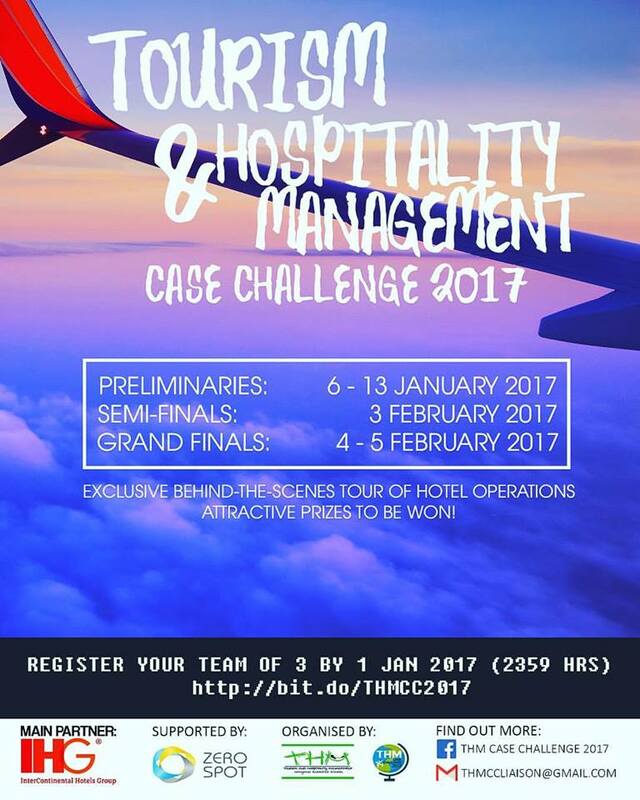 The Tourism and Hospitality Management Case Challenge (THMCC) 2017 is back! Organised by a group of students from NTU, THMCC allows students to gain exposure and greater insights of the H&T industry. For students who are interested, you may sign up with Mr Pinaki/Ms Gosia!